Step things up with supersets and get ripped abs with this quick, but advanced abs workout. Whether your six pack abs are visible or not is directly related to your diet. Still, training them hard with challenging and constantly varying workouts is crucial if you expect to have a middle worth showing off. Do 15 reps of each exercise. Take no rest between the sets. 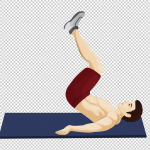 Then rest 1–2 minutes and perform all exercises again for a total of 3 times. 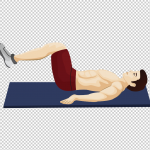 Blast the lower abs with Reverse Crunches. The key to this move is to avoid swinging the legs to raise the hips. Lie on the floor and place your hands on the floor. Bring your knees in towards the chest until they’re bent to 90 degrees. Keep your feet together. 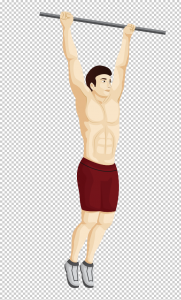 The Hanging Leg Raise works all the muscles of the midsection and even your lats. Plus, it trains your grip. Strong Hands + Strong Abs = Strong Body! Hang from a pull-up bar with both arms extended using either a wide grip or a medium grip. 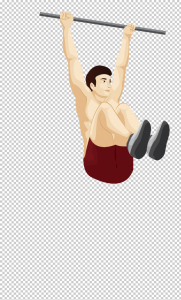 The legs should be straight down with the pelvis rolled slightly backwards. This is a stability exercise that trains your entire core. 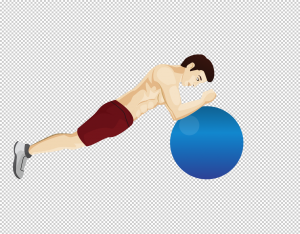 The Swissball Plank is more difficult than the 45-degree plank. The instability of the Swissball makes it harder to hold your position. Place your forearms on a Swiss ball. Your elbows should be placed so that your arms and torso form a 90-degree angle, and your body should form a straight line from your shoulders to your ankles. Squeeze your glutes and hold. Hold for 60 seconds. If you have no swissball, perform a regular plank and hold for 60 seconds.